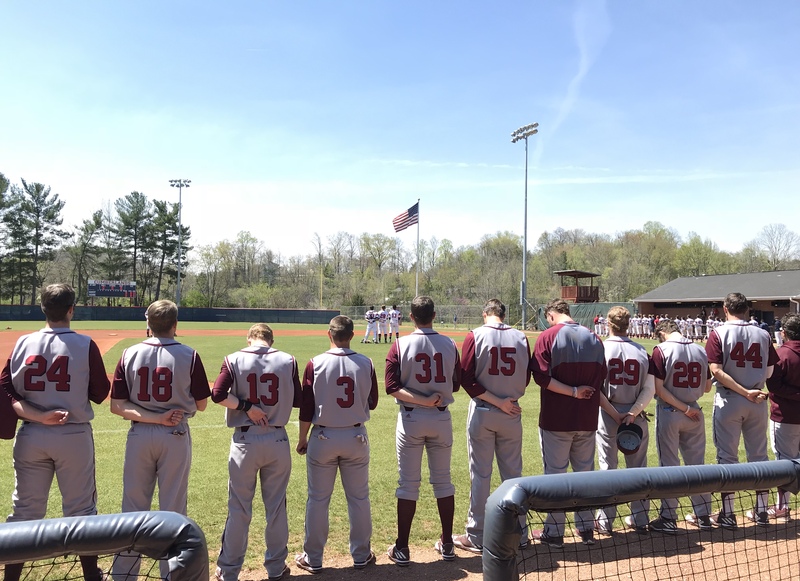 This weekend, I traveled to Williamsburg, Kentucky to watch the Cumberland University Phoenix play baseball against the University of the Cumberlands Patriots. For most of you, it is probably weird to see two universities with almost identical names. In fact, they used to have the same name until the one in Kentucky changed theirs. I guess we are older and got dibs on the naming rights. This post is not about the names of universities. It is about spending time at the ballpark watching a baseball series. It is also about watching a legend at work. Woody Hunt has been our head coach for thirty-seven seasons and has over 1,500 wins. 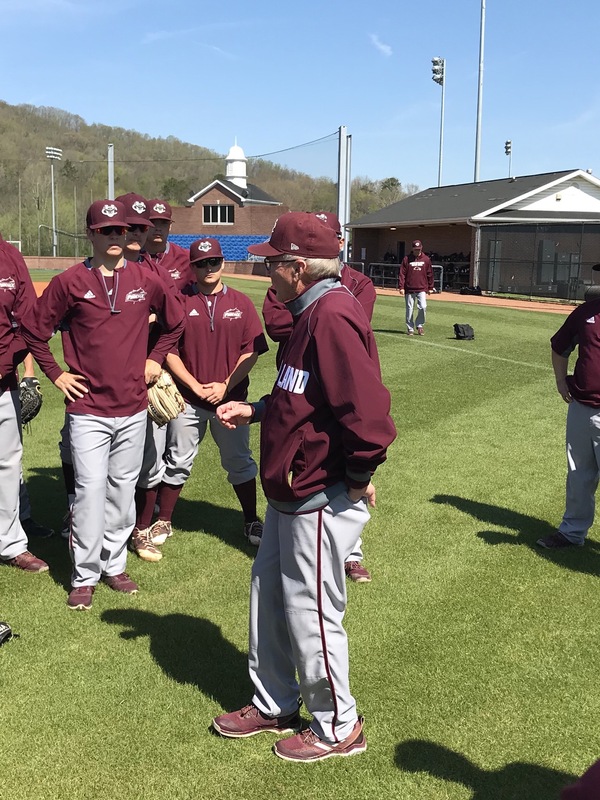 That makes him the winningest active coach in NAIA baseball. He also has three national championships. Yes, baseball is our sport, and Coach Hunt is the reason. Like a lot of people in this area, I have followed Cumberland baseball for years and have always wanted to sit in the dugout to see the action up close. This weekend, I got to do more than that. I spent the first game as the color commentator on the radio broadcast. When the computer malfunctioned, I had to do play-by-play for a while. To be honest, that kind of freaked me out. During Saturday’s first game, I stayed glued to Coach Hunt. His pre-game speech fired me up. I was ready to go out there and play. Watching him in the dugout was a great experience. He did not say much, but, when he did, it meant something. He talked strategy with his assistants and spoke sternly to the players when they needed it. It has been a long time since I spent a weekend at the ballpark. I have written about my days growing up around professional softball – my dad’s team; the ballparks; and the players. There is something about the smell of the grass and the dirt and of hamburgers being grilled. There is something about the sound of cleats on concrete and the sound of bat hitting ball during batting practice. There is something about the music of a prerecorded national anthem coming through the speakers. There is a feeling in the air as a crisp morning turns into a hot day. Then, that hot day turns into a cool evening. There is that special time when the lights come on as the sun is going down. There is also the feeling of being around a team, a group of people who are going through the wins and losses together. When the game is over, they talk about the game at the nearest fast food restaurant and continue talking about it as they head to the hotel. No, there is nothing quite like being at a ballpark and being part of a team. It is something that I spent a lot of years doing, and, this weekend, it felt good to be part of that atmosphere once again. Even if was just for a few days. 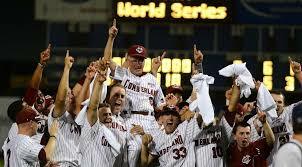 Last week, the Cumberland University baseball team won the NAIA national championship. 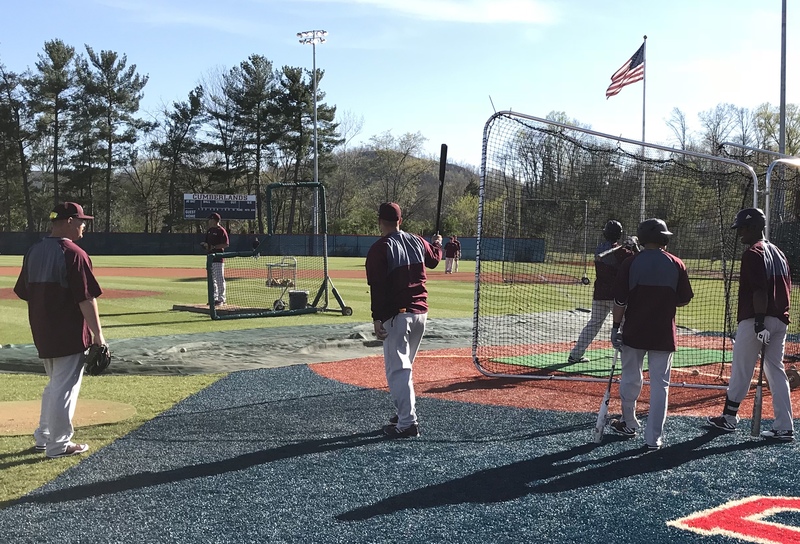 It is the third time in the past ten years that the baseball program has claimed the top prize. The coach, Woody Hunt, is a legend in these parts and has led the program for three decades. A couple of days ago, we had a celebration for the team. There was a parade, and hundreds of people showed up at the baseball field to honor the players and the coaches. Several people spoke, and I was lucky enough to be one of them. As Faculty Athletic Representative, I track the academic progress of all student/athletes and make sure that they are on the way to completing their degrees. A lot of the baseball players have been in my classes and, hopefully, have gotten the point that history is important. We can learn from our past and use that information to move into the future. In fact, a lesson from the past convinced me that they were going to win the NAIA World Series. The event was held in Lewiston, Idaho, home of Lewis-Clark State College. That is important because their team was in the World Series, as well. In fact, that is who the Cumberland Bulldogs had to beat to win the championship. Lewis-Clark State College is names after Meriwether Lewis and William Clark, who Thomas Jefferson chose to lead an expedition into the Louisiana Territory. It is one of the most famous stories in our nation’s history. Lewis and Clark, with the help of Sacagawea, led a band of men through uncharted land to determine exactly what Jefferson had purchased. They returned in a couple of years with fantastic tales of the land and its people. They were heroes and were treated as such. However, that is not the end of the story. After the journey, Meriwether Lewis faced difficulties in several aspects of his life. Finally, he left his home in New Orleans to travel to Washington, D.C. Lewis want to see Jefferson, his old patron. He traveled the Natchez Trace toward Nashville and was almost to the city when he stopped at a roadside tavern. Meriwether Lewis never left that tavern. He was fatally shot, and the mystery of who did it continues to this day. The proprietors buried him in the yard, and his grave can be visited. A broken obelisk stands above him. So, how did this story convince me that our baseball team would win the national championship? Meriwether Lewis survived great dangers on his journey into the West. However, he could not survive his journey into Tennessee. With that in mind, I saw no way that a school named after him could beat a team from Tennessee.